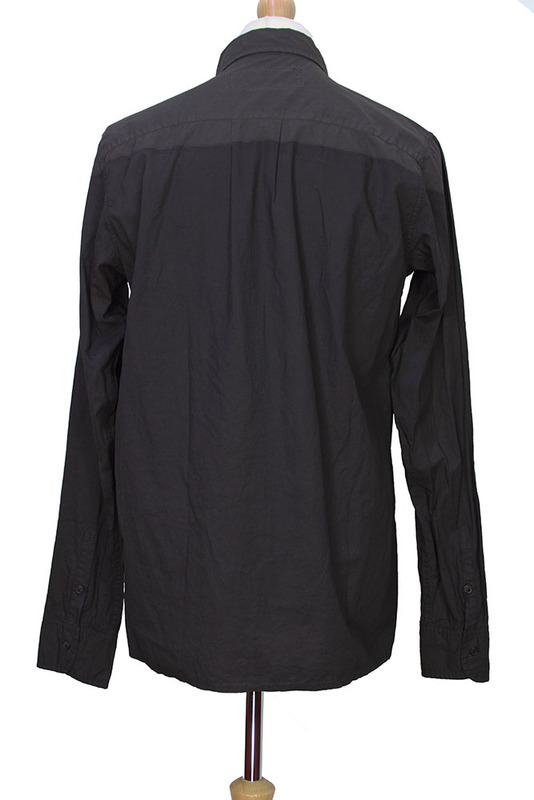 Rundholz Dip Collection crisp, crumpled, cotton poplin shirt in overdyed cotton opal colour. Small soft colour. 7 button fastening. The top of the garment is overdyed lighter than the lower part. 2 buttoned cuffs. Box peat at centre rear, below yoke. Straight, finished hem with small vents at each side. Lovely shirt.